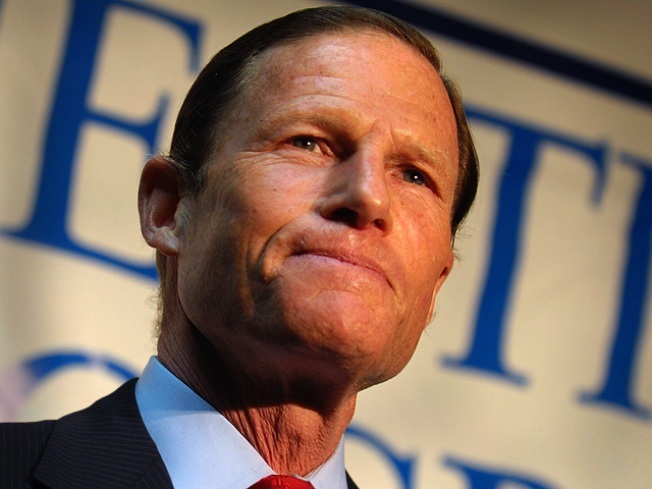 Attorney General Richard Blumenthal lost a significant lead in polls since the New York Times report was published stating that he overstated his military record. Rasmussen Reports conducted a telephone survey on Tuesday of “likely voters” in the state and it showed him with a three-point advantage over Linda McMahon – 48 percent to 45 percent. When a poll was done two week ago, he led McMahon by 13 percentage points. Blumenthal also lost some steam in his race against former GOP Congressman Rob Simmons. He leads by 11 percent, down from 23 points two weeks ago. His lead over Wall Street investment banker Peter Schiff is 53 percent to 37 percent. Two weeks ago, he led 54 percent to 29 percent. While Republicans have been calling for him to drop out of the race, only 26 percent of voters say Blumenthal should withdraw and only 9 percent of Democrats feel that way. This is the first time, according to Rasmussen Report, that he has fallen below 52 percent.